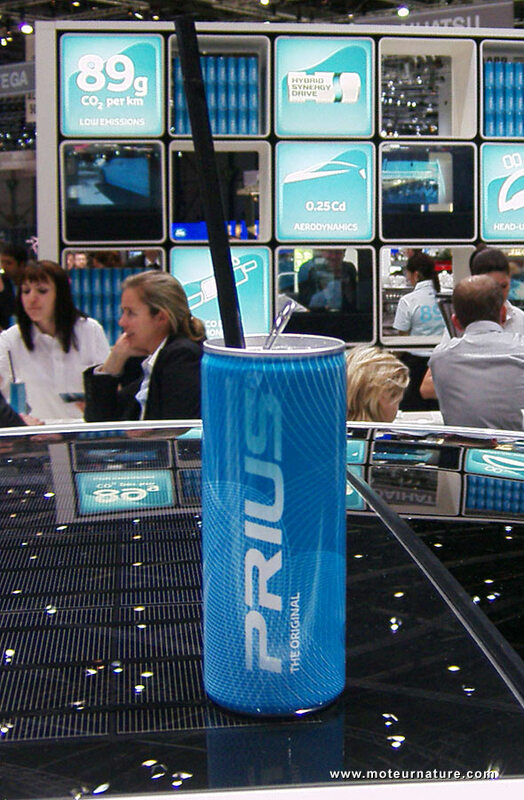 One ice cold Prius, please! This is right now at the Geneva motorshow. As you would expect, there’s many Prius on the stand. With something cool behind them, a bar, giving free drinks. How nice! We had the Prius drink. Here it stands on the roof of a Prius. This is not alcohol, and it’s not some kind of a organic drink either, it contains taurine.